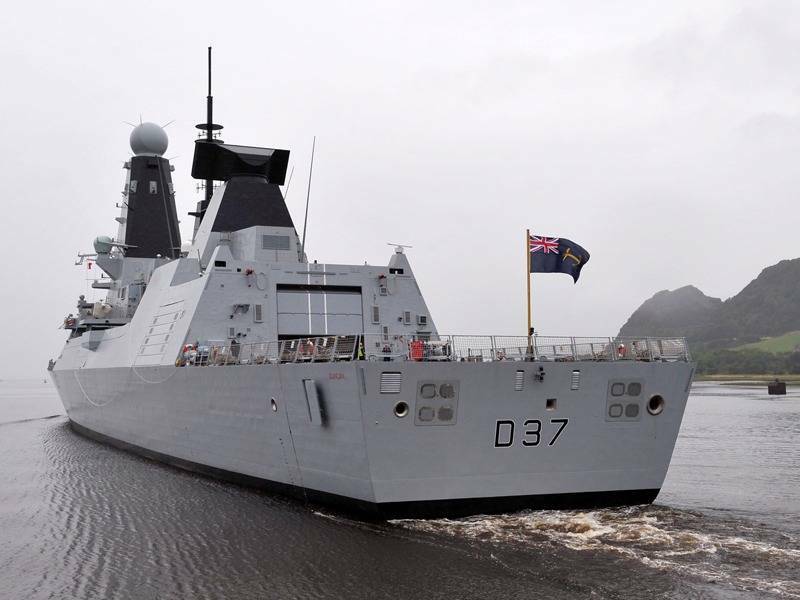 'Duncan', the RN's sixth new Type 45 destroyer, puts to sea for trials attended by Royal Navy, Ministry of Defence & BAE Systems personnel. The yet to be commissioned Duncan quickly set about testing her speed and manoeuvrability, soon after leaving the BAE Systems' Scotstoun, Glasgow, shipyard. The trials will see the 7,500-tonne destroyer taken to over 30 knots (56km/h) and turning very tight figures-of-eight. She will spend four weeks at sea trialling her power and propulsion systems as well as her weapons systems. A second period of sea trials, set to take place later in the year, will test Duncan's combat systems and sensors in order to ensure she joins the other Type 45s already commissioned and based in Portsmouth in pristine condition next year. "This day marks a real achievement for everyone involved in the build of HMS Duncan for which we can be justly proud. I think our namesake, Admiral Duncan, would also be proud of what we, as a ship's company, have achieved so far as we bring our ship to life, both materially and by establishing ourselves as a unit by building our team of great people."